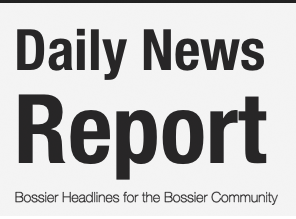 Four Bossier Parish football players signed with colleges Wednesday. 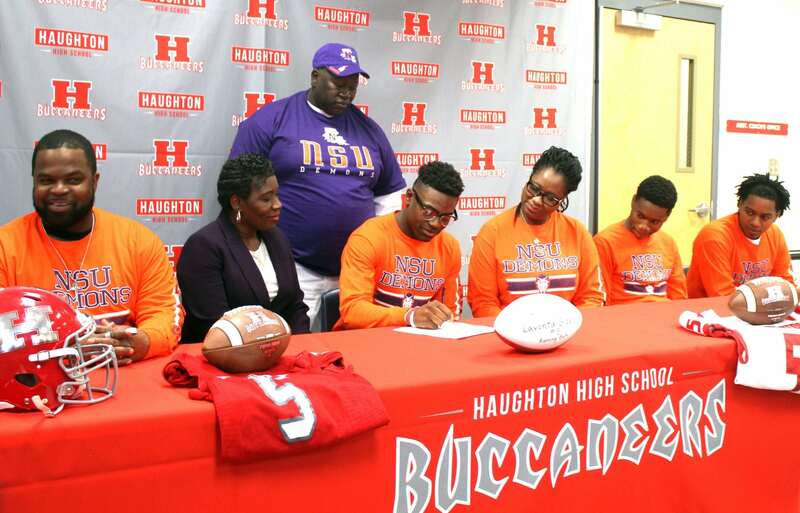 Haughton running back Lavonta Gipson and Airline receiver Coby McGee signed with Northwestern State. 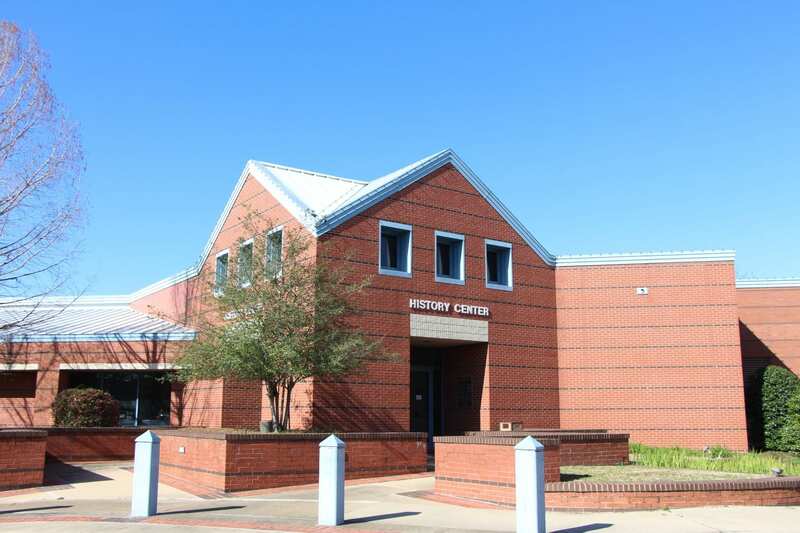 Parkway defensive back Marcus Drayden signed with Texas College. Parkway running back and receiver Kendall Brown signed with Boise State. But he will attend Bayou Prep Academy, a postgraduate program in Baton Rouge, before heading to Boise State. Gipson and McGee were both first-team All-Parish selections last season. Gipson rushed for 1,037 yards on 167 carries and scored 16 touchdowns in the regular season for a Haughton team that went 7-4. The Bucs broke long victory droughts against Parkway and Byrd. McGee, who missed most of the 2016 season with a knee injury, led Bossier Parish in receptions in the regular season with 57 for 596 yards. 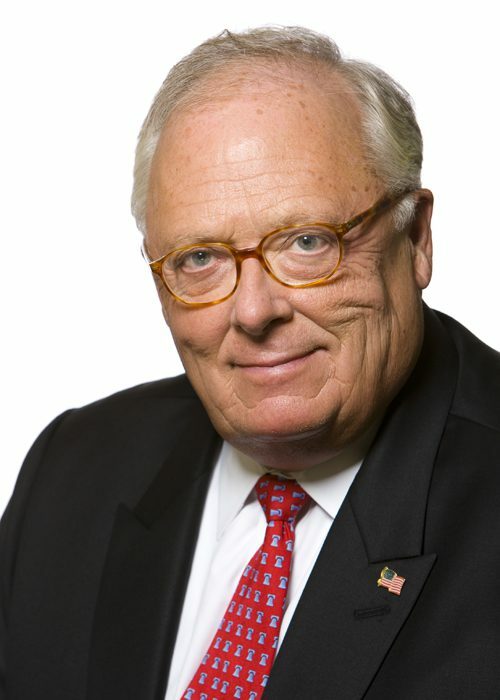 He helped the Vikings finish 9-4 and reach the quarterfinals of the Class 5A playoffs. Airline’s Coby McGee signed with Northwestern State on Wednesday. 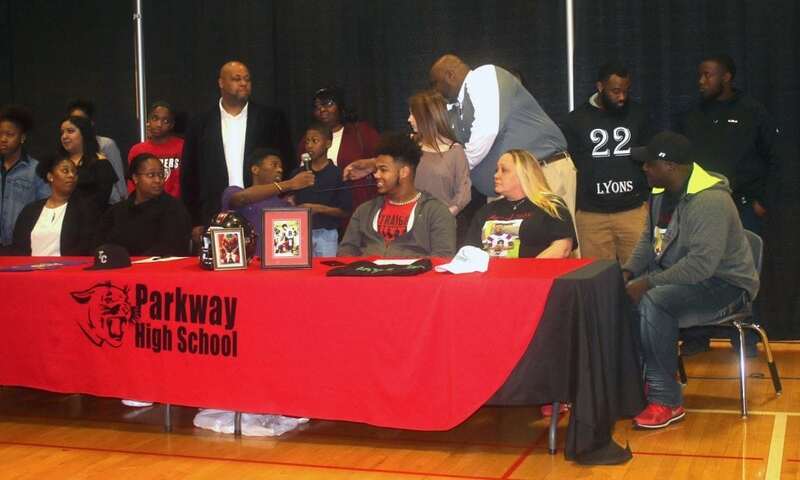 Parkway players Marcus Drayden (Texas College) and Kendall Brown (Boise State) signed Wednesday. 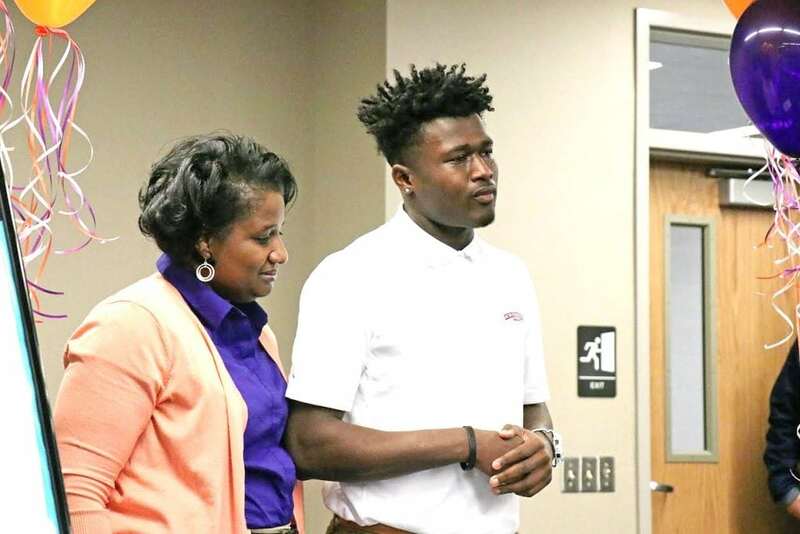 — Featured photo of Haughton’s Lavonta Gipson during his signing ceremony by Russell Hedges.